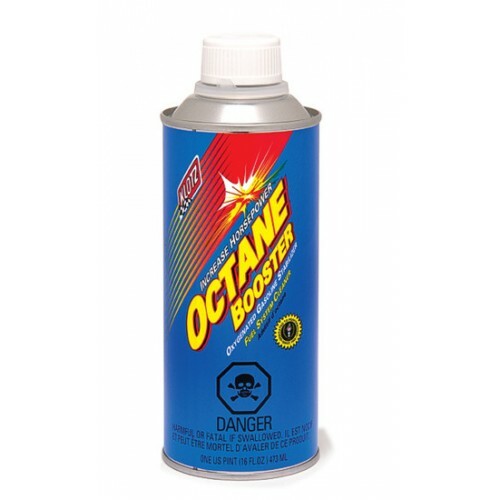 Klotz Octane Booster is a concentrated tetraethyl lead substitute formulated to increase the octane rating of gasoline up to 10 numbers or more.Helps eliminate engine damaging detonation, spark knock, pre-ignition, and pinging from low octane gasoline. Octane Booster modifies the burn speed and flash point of gasoline to create a stable combustion chamber flame front, maximizing performance and power. Stabilizes oxygenated gasoline to prevent lean-out conditions. Klotz Octane Booster provides needed upper cylinder lubrication that is missing in unleaded gasoline. Use this Octane Booster for ATV'S, Automotive, Kart, Marine, Motorcycles, Snowmobiles and more.